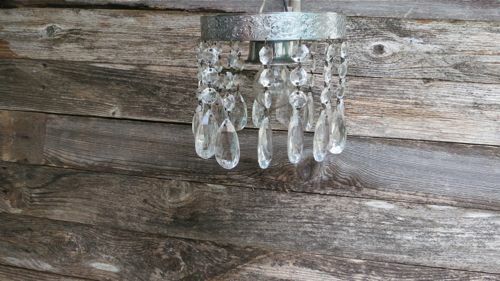 Beautiful Small Vintage Crystal Flush Mount Chandelier Single Bulb Light Fixture 6"
Beautiful vintage crystal flush mount chandelier. 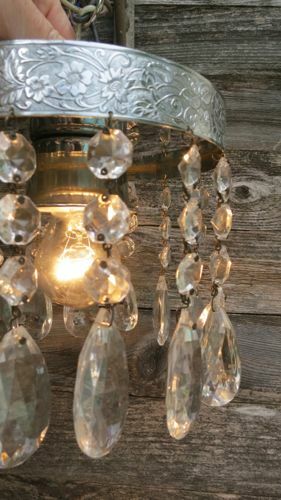 Reflective mirrored back plate, 15 strands with 60 crystals, casting a beautiful glow. 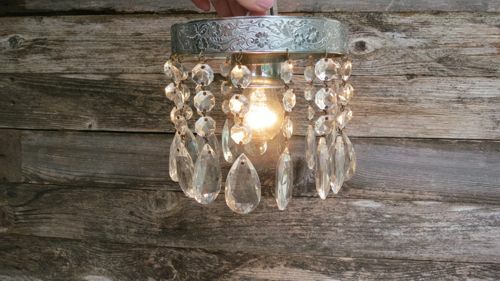 Flush mount with decorative silver detailing, it measures 6-1/4" in diameter at the trim which is flush mount at the ceiling, and has a 6" drop, accepts 1 standard size bulb.